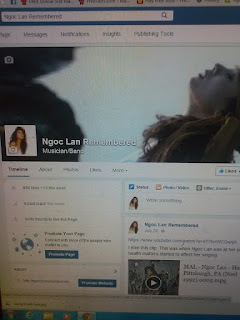 Ngoc Lan - Voice of an Angel: Thanks for Liking Us! 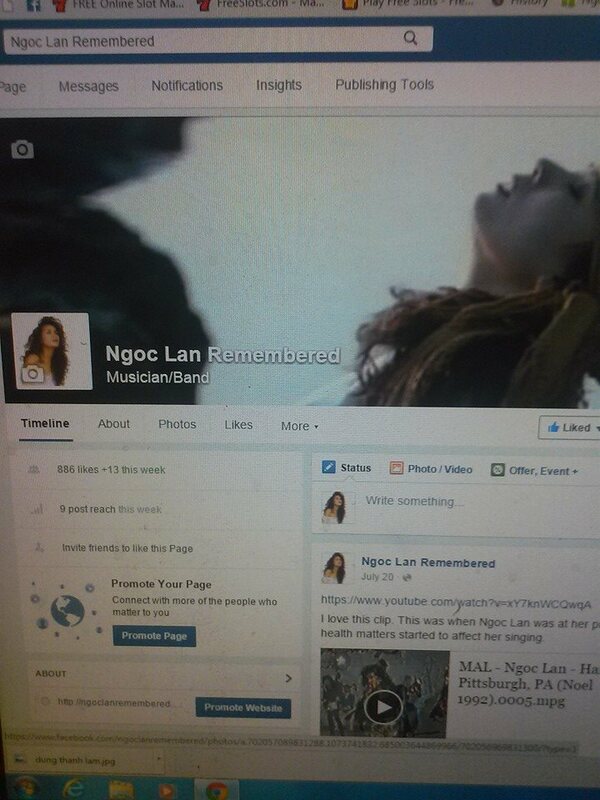 When I created our Facebook page for Ngoc Lan Remembered a year ago, I was a bit worried that we wouldn't get anyone to like our page. Then after it had reached a total of over 100 likes within a few days, it made me a bit more at ease and also realize that there are others who appreaciate what I've done here on NgocLanRemembered.BlogSpot.com and such links I've set up like the Ngoc Lan Remembered Pinterest board, the Ngoc Lan Remembered hub article on HubPages.com, and of course, the Ngoc Lan Remembered Facebook page. These were all created with the same purpose of paying tribute to our beloved Ngoc Lan. That was really gratifying to know that people do like us. I'm proud to announce that the page now has a total of 886 likes. That goal of reaching 1,000 likes doesn't seem so far fetched anymore. Thank you to all that have taken the time to like the page. I can't wait until the day when we do reach our goal of 1,000 likes. I have a feeling that day is coming soon. P.S. Remember to keep liking us on Facebook, friends!